 The Macomb County Department of Planning & Economic Development (MCPED) has determined that there are 155 miles of hike/bike routes in Macomb County. Now we want to know, is that enough? To find out, the department has launched an interactive website to enable residents and visitors to provide input. Macomb County has great recreational assets. It contains three regional parks of the Huron-Clinton Metroparks, more than 180 municipal parks, 32 miles of Lake St. Clair coastline, three public boat launches and more than 81 miles of the Clinton River. The Macomb Orchard Trail is a 24-mile linear park that connects to four downtown districts, Stony Creek and Lake St. Clair metroparks, as well as the Freedom, Clinton River and Paint Creek trails. The department will work with LSL Planning to create Mobilize Macomb, a non-motorized master plan for Macomb County. The public is invited to get involved by logging on to http://mobilizemacomb.mindmixer.com/, an interactive website where residents and visitors can share ideas, comment on other topics, share links and keep informed about project updates. “This is a stakeholder-driven initiative,” said Stephen N. Cassin, MCPED director. “We want to hear from those who would use new routes and to gather ideas about bike lanes, shared paths or new sidewalks.” The website will feature a series of topical questions and offer incentives for users who interact with it. The resulting plan will be introduced in fall 2015.